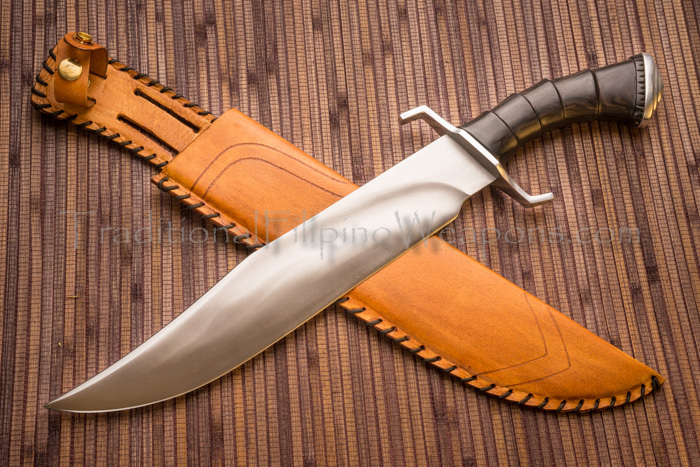 Bowie knife – The proper pronunciation is “boo-ee,” where most of us mispronounce it as “bow-ee.” This is a fixed blade thought to be popularized by the late Jim Bowie going back to the early 19th century. 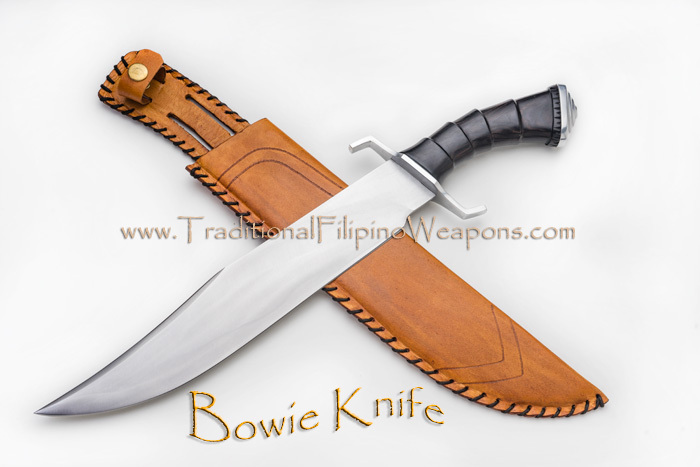 the exact Bowie design is actually not known, though the pictures here on the site are thought to be the design created by James Black for Jim Bowie as said by most historians. 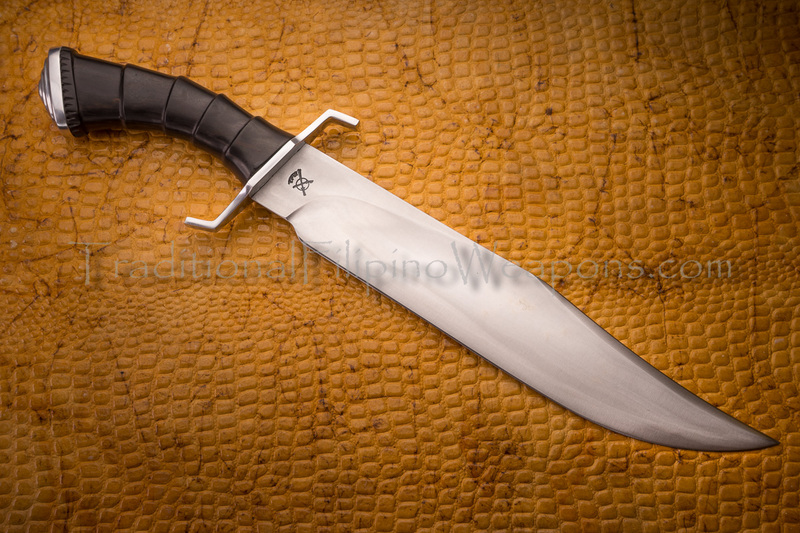 The Bowie knife first became famous due to Jim Bowie’s use of a large knife at a duel known as the “Sandbar Fight.” After this famous historical fight, Jim Bowie always wore his large knife at his side wherever he went. 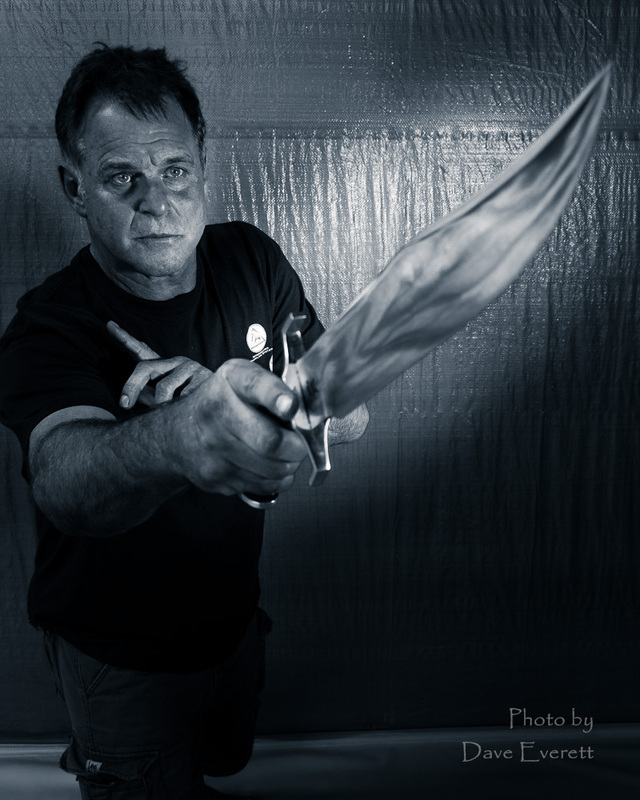 His reputation to this day followed him for being an expert knife fighter after that particular fight. 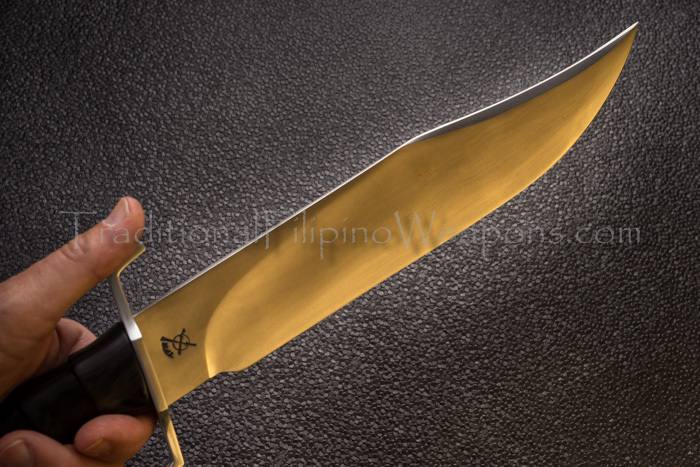 This knife design is, and has been for many years, to be very popular with knife collectors due to the perfection and feel of this knife. 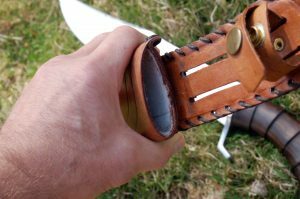 Jim Bowie’s brother, Rezin Bowie had told many stories of many different fights where he used the “Bowie knife” and won…all of which are thought to be myths. Some historians believe he only had one fight as mentioned before, the Sandbar Fight, though no one can prove which story is truthful either way. 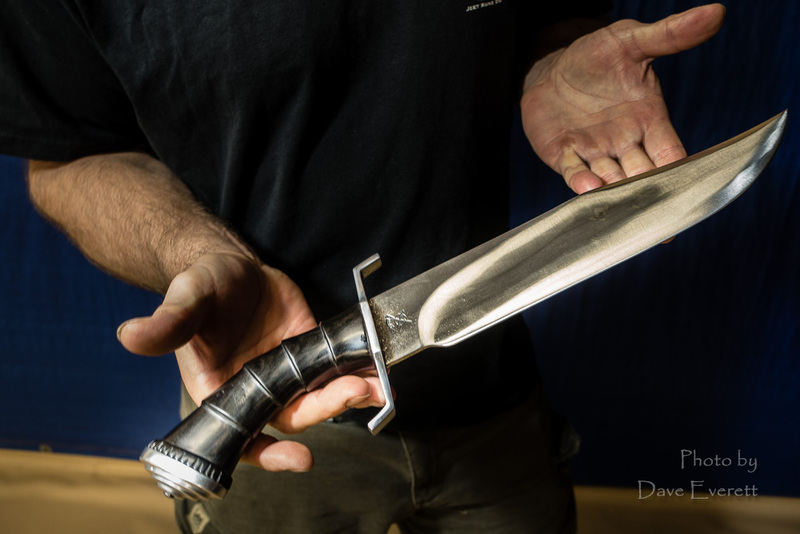 We do know myths are based on fact and once you hold this knife, the myths are easy to believe due to the perfection in the engineering of this fighting knife. 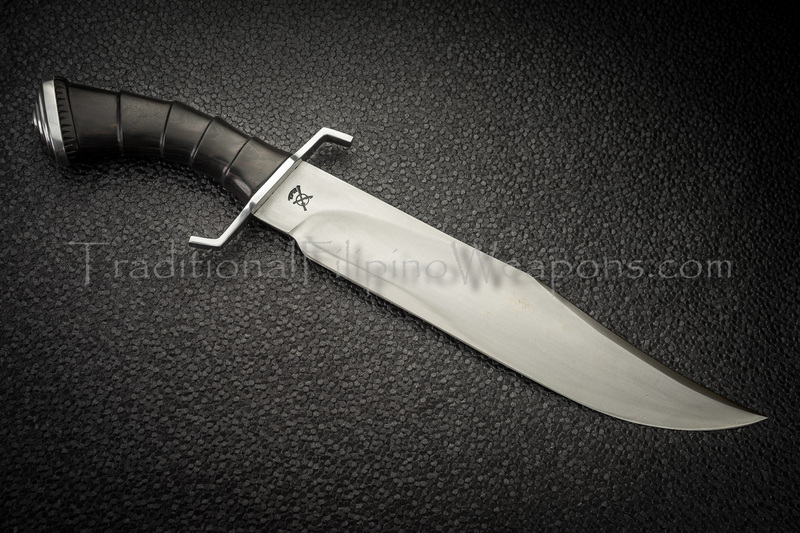 It is still thought today to be the perfect fighting knife. 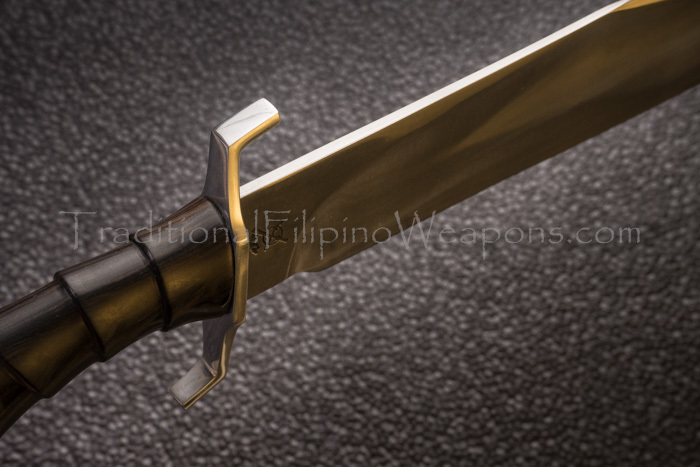 The one aspect of this being such a good fighting knife is the tip of the blade, where the tip of the blade is lower than the spine and in line with the handle for better control during thrusting attacks. 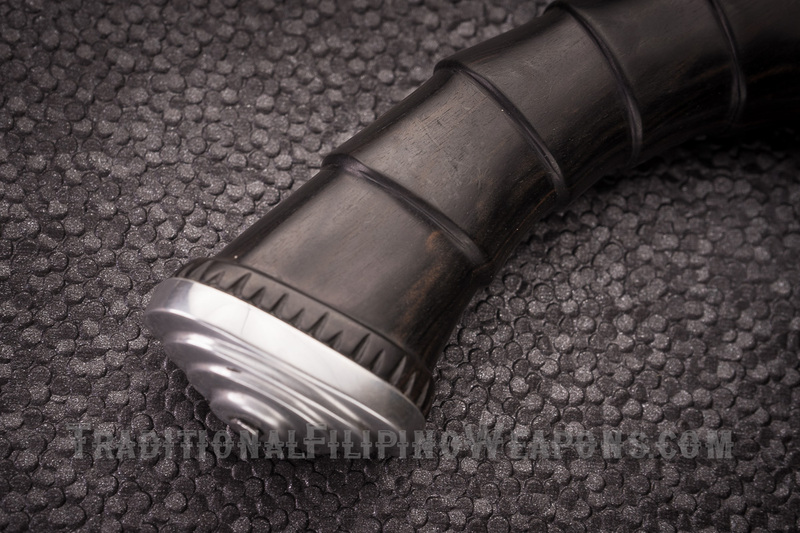 This design, even though it is a wide blade, can go through the target like butter due to both sides of the tip always being maintained to be razor sharp at all times. 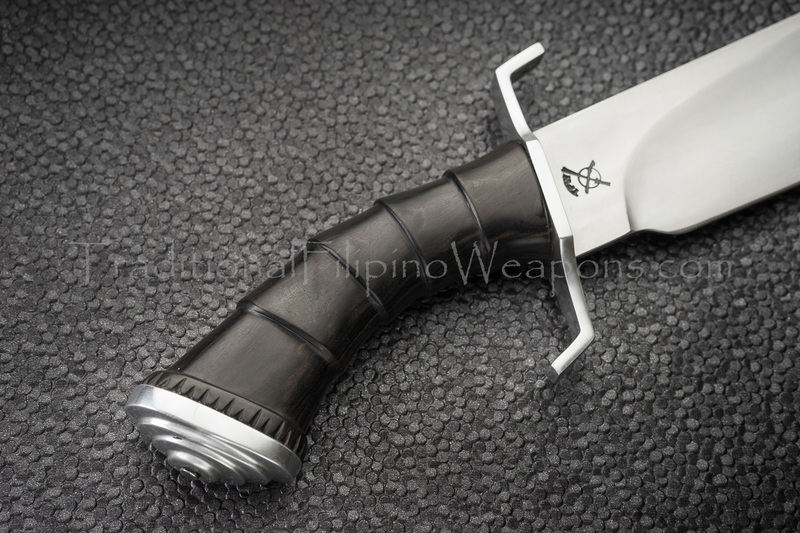 The hand-guard along with the handle-grips of this TFW Bowie knife protects the hands from slipping into the blade during power thrusting. The tip being raised upward allows for a perfect slash yet pointed forward enough to follow up with a nice thrust. 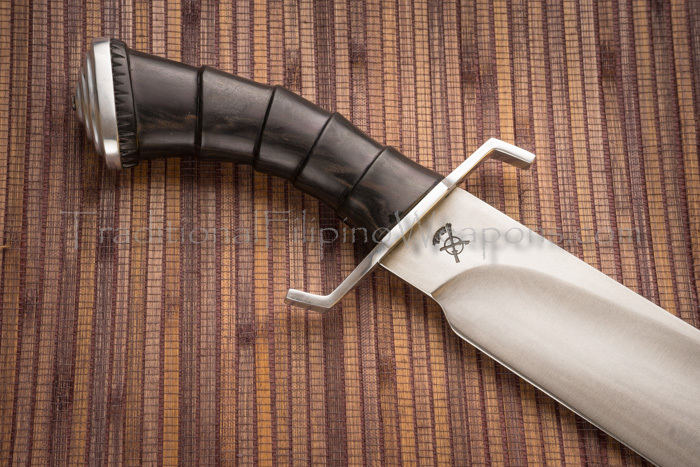 Also with the “gun-shaped” handle, the power in thrusting this TFW Bowie Knife is amazing. 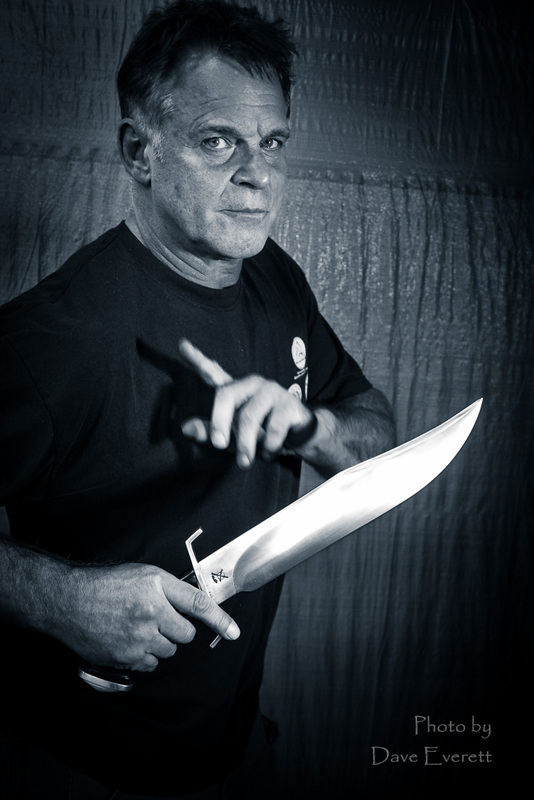 The Bowie knife historically is not only used for fighting. 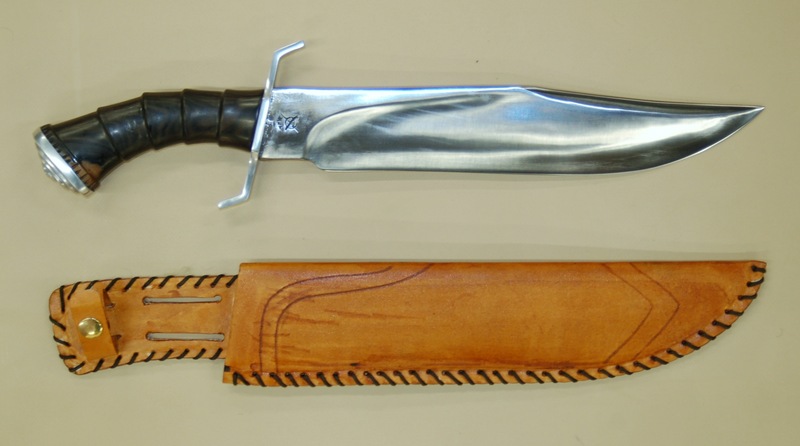 Its use as a hunting knife has been used throughout early American history. 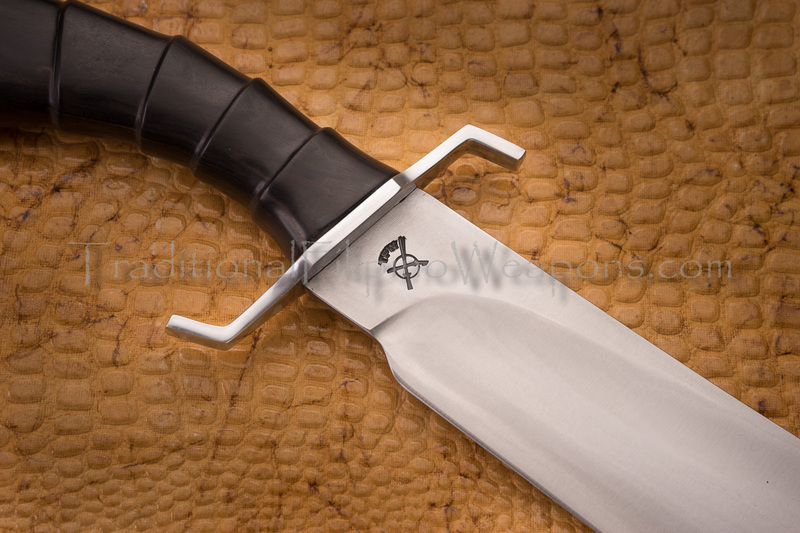 The engineering of the Bowie Knife makes it perfect for cutting up meat and skinning an animal for food and clothing. 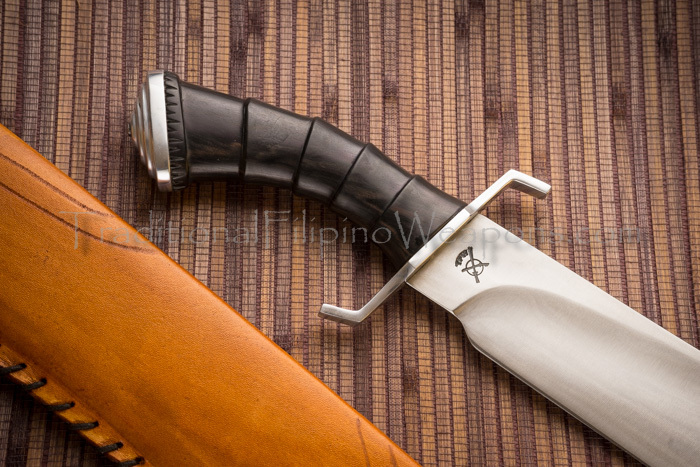 Hunters, fishermen, campers and survivalists in general all will want to own the TFW Bowie Knife due to its high quality and being able to hold an edge after putting it through common punishment. The TFW Bowie is very well designed. 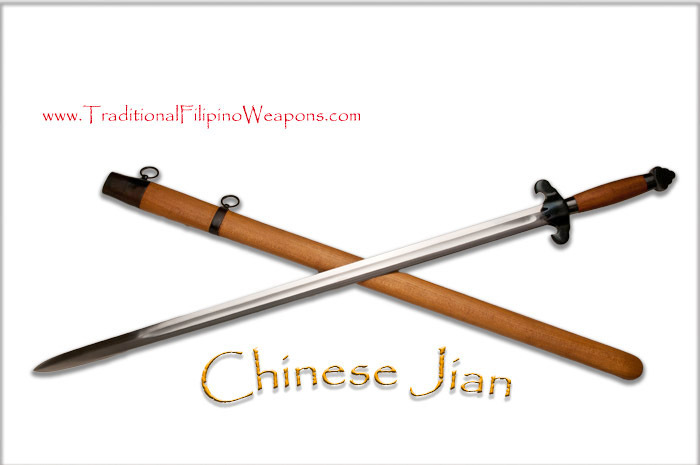 Like all TFW bladed weapons and tools, they are made from steel blends of 5160 and D2 with a sodium Nitrate heat treatment. 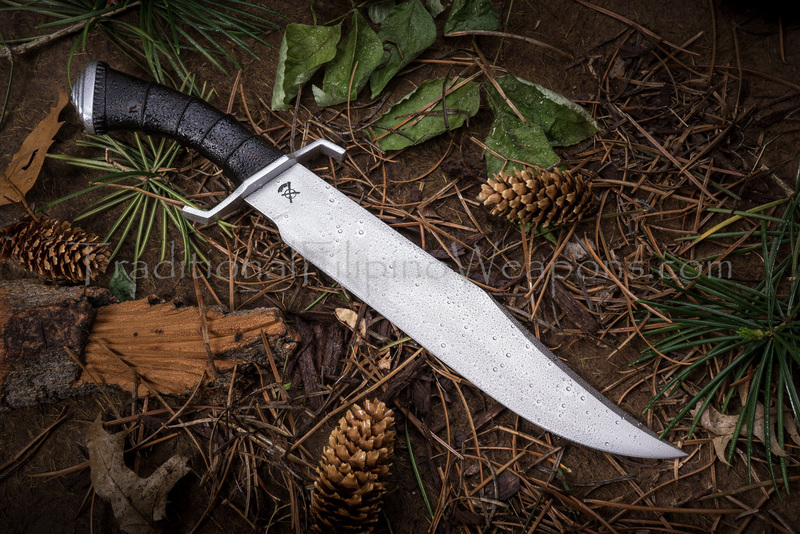 The TFW Bowie Knife can be handed down through many generations to come as a family heirloom. This is a very high quality knife that is well worth every penny. Once you feel it, you will see why such claims as well as all the myths are made for yourself. 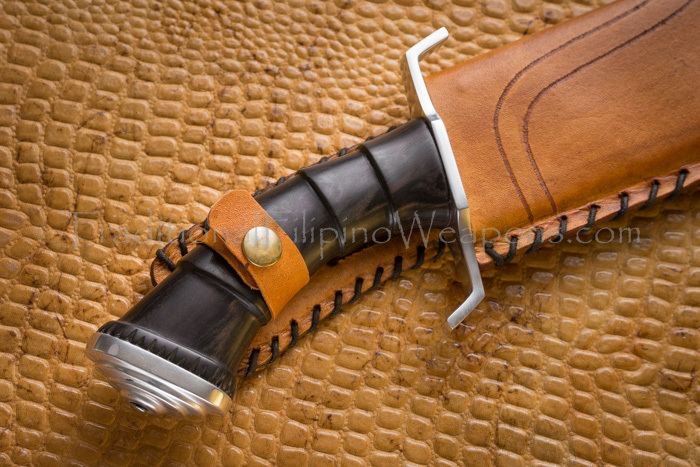 To prevent the blade from rusting or rotting from moisture in the leather, we have an insert made of nylon. 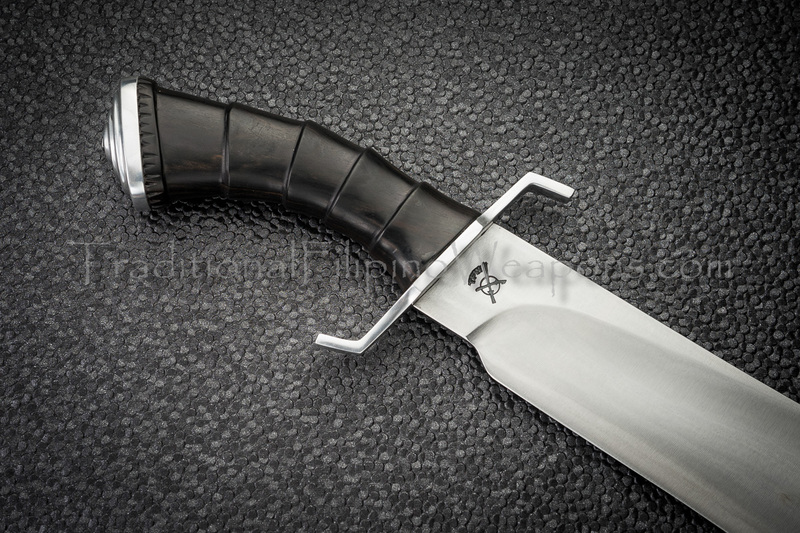 This way your Bowie Knife will last for many generations to come. 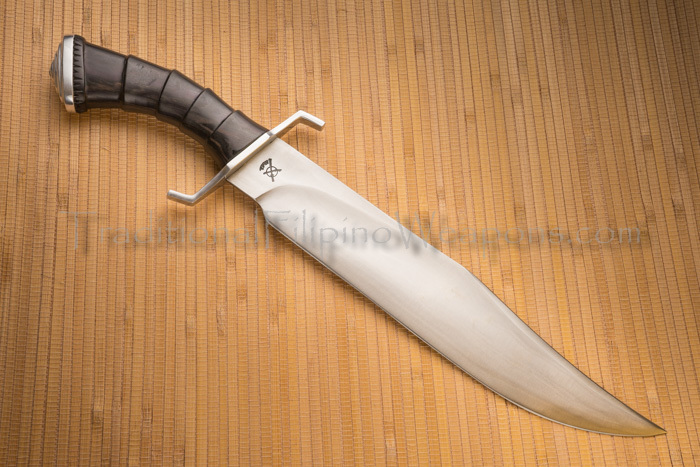 For more historical information on the Bowie Knife, feel free to go to https://en.wikipedia.org/wiki/Bowie_knife.